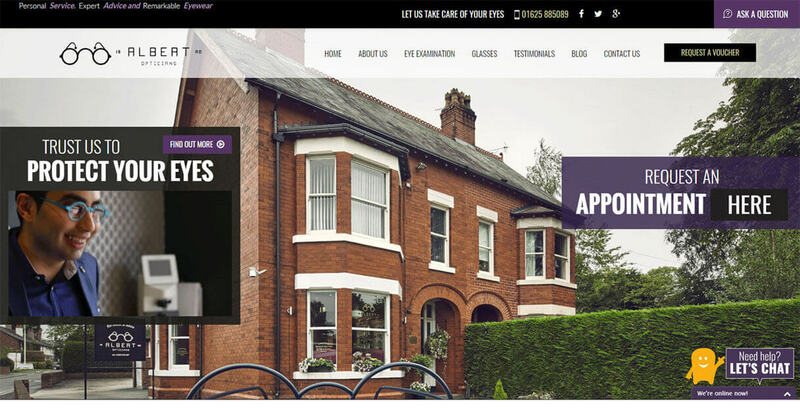 Albert Road Opticians provide fashionable eyewear through friendly consultations over a cup of tea. 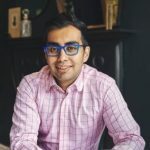 Deepak felt it was time to update their website and showcase the unique range of stylish brands to match their boutique practice. 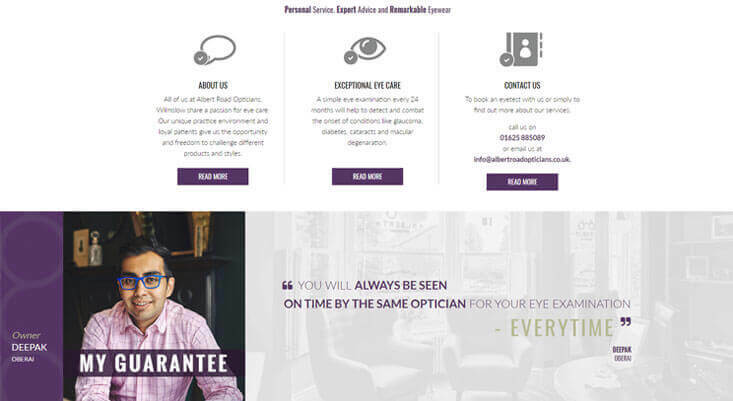 As well as giving the site a complete refresh we added multiple calls to action and lead generation for new appointments, competitions and eyewear style consultations. 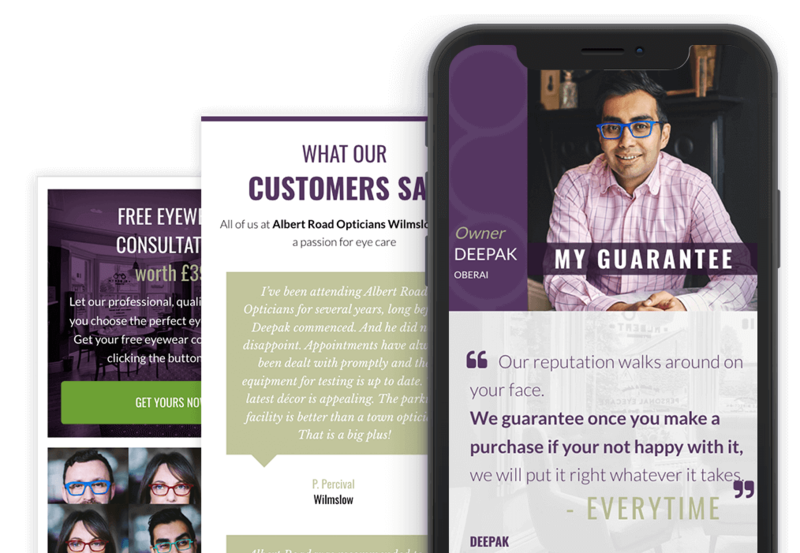 After the website was live, Deepak signed up to our Web and Design Success Plan whereby we design his monthly newsletters for both of his optician businesses including posters, leaflets and magazine inserts. We maintain the website with the latest competitions and offers that change frequently, to maintain interest with their customer base. 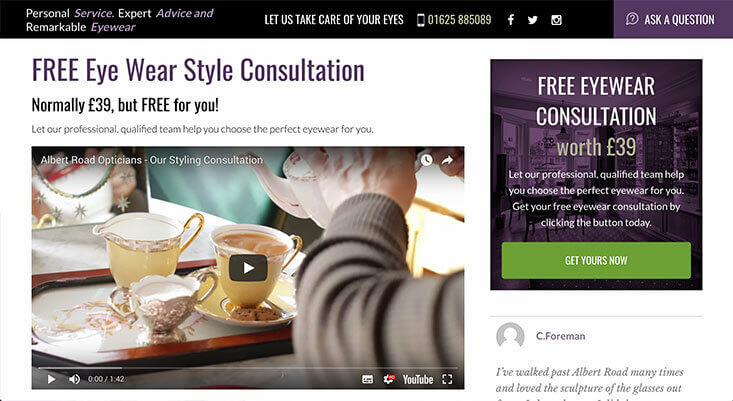 The site is connected to ActiveCampaign for automated marketing and to follow up with prospects via running offers and updates to current customers.